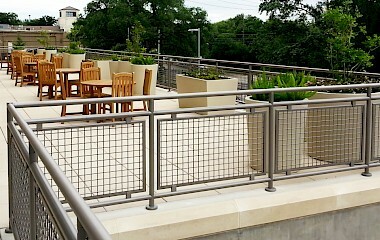 These hand and guard railing systems meet the IBC and ADA codes. The Hollaender engineering staff can provide delegated design services to demonstrate our compliance, if needed. Infills are available in a wide variety of materials, all of which have been tested to meet the IBC code. 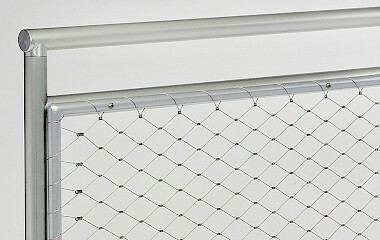 We offer tempered glass in both monolithic and laminated, along with resin panels in both PETG and acrylic. 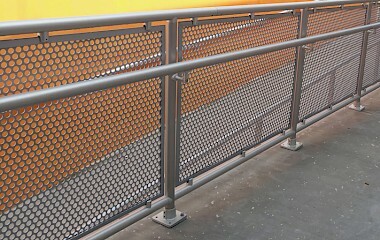 Metal panels can be supplied in mesh, perforated or a more exotic pattern. 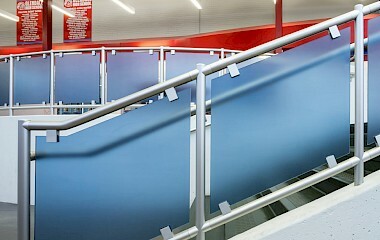 Material for these metal panels range from aluminum to e-coated steel to stainless steel. 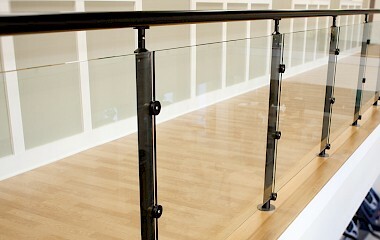 Finishes are available for our hand rails in a wide range of different patterns, colors and textures. Aluminum systems can be anodized with clear and bronze options, or powder coated in almost any color imaginable for your job requirement. Our steel infill panels are produced in the same wide array of colors, but are first e-coated to protect against corrosion. 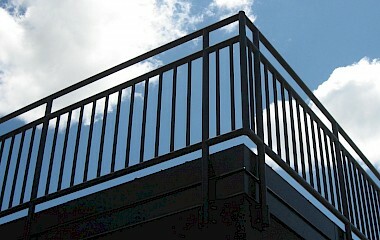 Our stainless-steel rail systems look great with a direction or circular brush, and panels can also be supplied in a bright dip.